Teresa Eugenia Prada González leads by example, tirelessly forging ahead on her longtime mission to “invest in women, and transform lives.” Having founded Colombia’s Fundación delamujer in 1986, she serves as chief executive and drives the organization’s consistent focus on providing financial services to low-income women and other marginalized groups. A pioneer in the early days of financial inclusion for women, Teresa remains a strong voice in the industry, championing client protection and gender equity at both the client and institutional levels. As a young professional, Teresa worked in the finance department of a program designed to relocate informal street vendors into a permanent commercial center. Here she witnessed the persistent difficulties such micro-entrepreneurs faced in accessing the credit needed to grow their businesses. Around the same time, Teresa learned of the work of Margarita Guzmán and Fundación WWB Colombia, a women-focused microfinance institution founded in Cali in 1980. Inspired by their work and having observed firsthand that the current financial system excluded the country’s low-income majority, she decided to apply her “unstoppable energy” to the task of offering credit to Colombia’s marginalized populations. Thus was born Fundación delamujer in 1987 whose first loans enabled market vendors to grow their businesses through incremental cost savings by purchasing wares in larger quantities. Though she knew that starting a microfinance institution meant taking on a great deal of responsibility, Teresa recalls that she was never afraid; rather, she was excited by the “infinite possibilities” she saw ahead. Her faith in the project remained strong despite the significant challenges. Working with a handful of employees in a humble office, Fundación delamujer initially could not pay salaries to its staff; at that time microcredit was still a largely untested idea that seemed risky to banks and investors. Few, if any, statistics existed about the informal economy and the business case for microfinance in Colombia, but Teresa knew there was a large market demand for small-scale financial services. With Fundación delamujer’s growing loan portfolio as evidence, she eventually secured seed capital for the organization and progressively invested in its infrastructure and growth. Today, Fundación delamujer serves over 354,000 clients, 68 percent of whom are women, and operates 258 branches across Colombia. The organization offers 16 different credit products targeting both urban and rural clients, as well as multiple insurance products and financial education trainings. 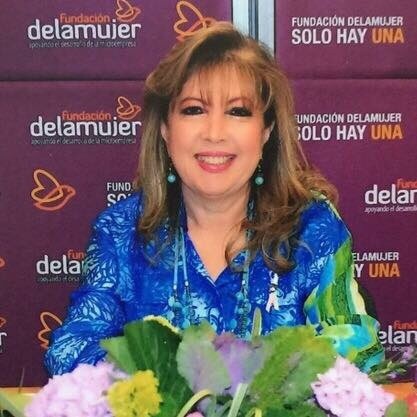 As president, Teresa continues to drive Fundación delamujer’s mission to foster economic and social development, primarily among low-income women, though her day-to-day priority is to focus on the clients and staff at the core of the organization’s work. “These people believe in our institution, are invested in our institution,” says Teresa, and she feels strongly that the value of their contributions should be reflected in the way the organization treats these key stakeholders. Fundación delamujer staff can participate in a career track program designed to develop internal talent, and Teresa’s top-down emphasis on employee happiness and well-being further promotes retention. In considering recent changes in the microfinance industry, Teresa points to client protection as the most pressing challenge facing the sector today. As microfinance institutions have grown, she says, many have lost sight of their original purpose of serving low-income clients: institutional growth overshadows clients’ best interests, and up-market shifts toward profits leave behind the poorest populations. In light of these trends, Teresa’s personal mission is to promote principles of justice for microfinance clients, using her own organization’s operations to lead by example. In June 2014 Fundación delamujer completed a rigorous process to receive the Smart Campaign’s client protection certification. Having spent the past three decades as a female leader, both within Fundación delamujer and in the larger field of financial inclusion for women, Teresa also strives to promote the “super important” goal of gender equity. In addition to designing financial services that meet the specific needs of its majority women clientele, Fundación delamujer prioritizes equal opportunity in hiring and promotions practices: at least 50 percent of its staff and managers must be women. By making gender parity a key performance indicator for the institution, Teresa hopes to encourage a working environment that enables female and male professionals to realize their dreams. When asked what advice she would offer to young women seeking to start a career in financial inclusion, Teresa urged them to be goal-oriented: “identify what you’d like to achieve in life and pursue the independence and competence that will enable you to reach those goals. It is important to seek happiness, and that comes from dedicating yourself to work you believe in and finding a meaningful life.” From her early days as a pioneer of financial inclusion for women in Colombia, to her continued leadership as President of Fundación delamujer, Teresa demonstrates just how big an impact such dedicated tenacity can have.